DEADPOOL Review: Unleash the Chimichangas! Was too short (109 Minutes), not enough Deadpool, needed more Deadpool. If you haven't seen it yet, you need to. then go see it again. maybe go get some Chimichangas after, bring me a burrito! Now, just to make this very clear to all the mommies and daddies reading and in true Deadpool fashion, I’m going to lay some truth: There’s no way you could have made this beautiful love story of a film into a child-friendly version. Not even Make a Wish Foundation could have granted that one. It would have been 15 minutes of him playing with an electronic taxi window, with over-the-top cliché Indian music playing in the background!!! The rest of the film is dedicated to our chimichanga-loving Merc with a Mouth and it does not disappoint not one bit. Deadpool has broken through the 4th wall, knocked out the 5th wall and used it to beat the 6th, 7th and 8th wall within an inch of their lives. Now, before the nitpicking begins I’ll get this out of the way: Wade Wilson doesn’t break the 4th wall, but Deadpool does! The film is written as if Deadpool himself has jumped off the pages of his “Origin” story and graced us with his presence. It’s so brilliant in fact it borderlines on pornographic for die hard Deadpool fans. 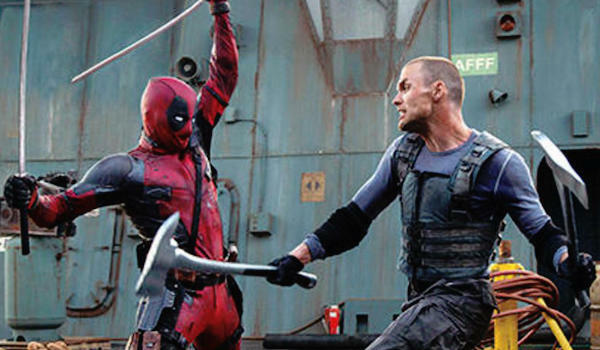 Our Favorite Merc is no longer a mouth sewn up dot-to-dot like he was in Wolverine: Origins (which the film makes fun of) but a badass in tight spandex with CG eyes that can project the best of Deadpool’s mannerisms. There are nods and pokes left and right to Ryan Reynolds past mistakes as a superhero (Green lantern Teehee) with some of the best written cameos in a Marvel Film. It’s everything I could have asked for or wanted, it stayed true to Deadpool form and delivered where most people thought and feared it would take a nosedive. What started off as a 3 minutes Test footage “leak” has blossomed into an amazing thrill ride that has already got a sequel in the mix right now! Those who are smart enough to stay till the very end of the credits will see a sneak peak, well I say a sneak peek it’s more a hint or hidden suggestion. The hidden cameos: including Stan Lee’s amazing M.C cameo in a Pole Dancers Bar, a very battered Helicarrier we last saw in Captain America: The Winter Soldier, Deadpool co-creator Rob Liefeld also makes a cameo appearance as does the Xavier Institute. Oh and one final surprise cameo, Bob makes his debut! As we know, the X-Men play a part in this film well at least two of them anyway along with some subtle 4th wall jabs at Patrick Stewart and James McAvoy. The Involvement of the X-Men in the story suggests that Deadpool has had run-ins with the Mutants before, which Colossus confirms by telling us he’s been offered a place in their ranks. Nothing against Daniel Cudmore, but we finally have a fan pleasing Colossus (Stefan Kapičić – voice, Andre Tricoteux – stop motion). He IS 7 feet tall and DOES speak with a Russian accent. He also acts with all the gentlemanly etiquette that Pieter Rasputin has in the comic books, especially when acting as a “big brother” and teacher to rookie NegaSonic Teenage Warhead (Brianna Hildebrand). 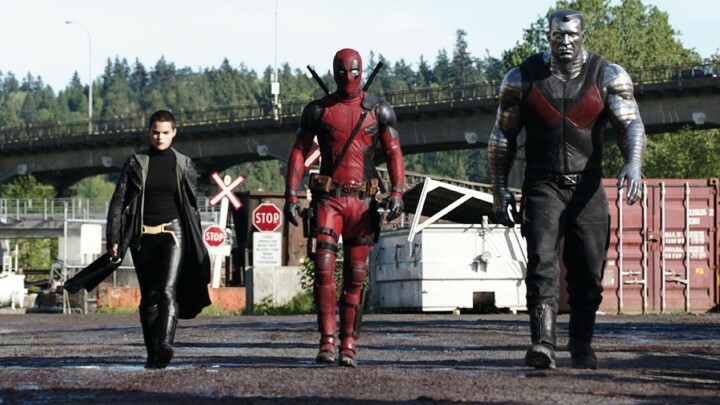 The X-mansion we see in the film gives the impression that Deadpool’s story takes place after X-Men Apocalypse and is reconfirmed by a conversation between NegaSonic and Colossus about the mansion being destroyed and rebuilt every couple of weeks. The storyline to this Epic Love story is a tale as old as a left over chimichanga. In an effort to cure his cancer and remain with the love of his life Vanessa Carlysle (Morena Baccarin), former special forces operative Wade Wilson (Ryan Reynolds) was subjected to an experiment that makes the scenes of the weapon X programme look like a box full of kittens. This leaves him with accelerated healing powers, disfigured skin and a “dark, twisted yet always funny” sense of humor. Armed with new abilities and a new identity, Wilson hunts down the man who nearly destroyed his life. That man is Ajax (Ed Skrein) A mutant with enhanced strength and an inability to feel pain, who is a weapons expert and all round sadist with a twisted view on experimentation. He is also member of the Weapon X program that was responsible for Wolverine. 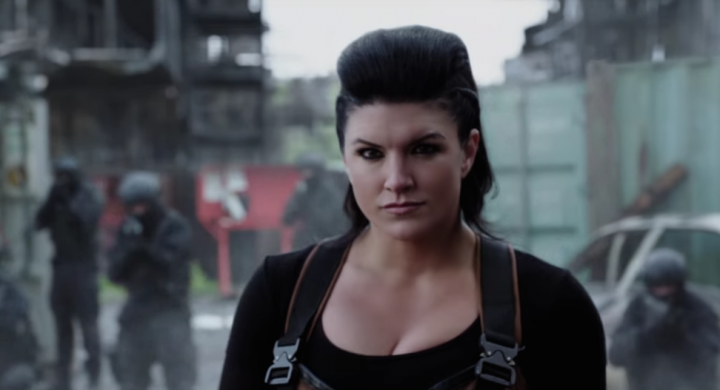 By Ajax’s side is the silent yet deadly Angel Dust (Gina Carano), who has the same abilities as Colossus except for the Silver skin. We all know the silver skinned titan Colossus, but not so much about his trainee. Negasonic Teenage Warhead is a teenage X-Men who possesses powers to detonate atomic bursts from her body. In the comic books she has some telepathic capabilities, but for the film the writers wanted her to have a visual and more offense power, which she uses with devastating results against Angel Dust. Other cheery characters come in the form of T.J. Miller as Weasel: Wade’s best friend and local Bar Owner. The verbal ping pong matches between him and Wade makes for classic comedic viewing and it still shocks me that only two jokes were cut from the feature film. Leslie Uggams plays comic book favourite Blind Al; An elderly blind woman and Deadpool’s roommate who also acts as his confidante and sometimes wise council, who’s mouth rivals that of Deadpool from time to time. When it came to Marketing this film, the way Fox went about it was perfection. In my opinion the ideas that came out were thought of by creative geniuses. In July 2015, director Miller and several cast members attended the 2015 San Diego Comic-Con to present the trailer of the film, which received a standing ovation from attendees who requested that it be played again. In December 2015, Fox launched a viral marketing campaign titled “The 12 days of Deadpool”, which consisted of one website posting new info about the film each day, with the culmination of a new trailer released on Christmas Day. The general marketing campaign for the film has garnered a positive reaction in the media; two particular items that were noted as effective was a campaign to feign Deadpool as a Valentine’s Day romance film and a billboard only containing the emoji’s “? ?L” (which journalists called “dumb, yet hilarious”). Mr Pool even campaigned for testicular cancer requesting we “Touch ourselves”. 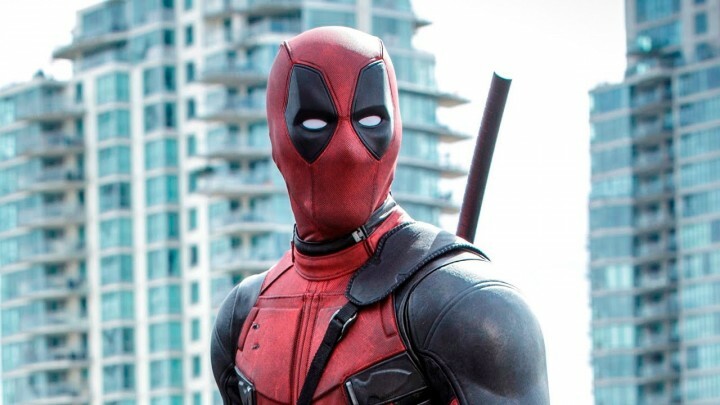 On January 19, 2016, two screenings of supposedly yet unseen footage in New York and Los Angeles turned out to be surprise screenings of the entire film; Screen Rant noted that fan reactions to the film were “overwhelmingly positive” and It appeared that Deadpool was staying true to source material – they were right! To sum things up, I’m going to see Deadpool again tonight and as often as I can, this film is a definite crowd pleaser and one any Marvel fan or Deadpool fan will enjoy going to see again and again. I’m already looking forward to the sequel due out next year (yes that quickly) and with an opening weekend falling on Valentine’s Day I can see a lot of couples catching Deadpool fever and many babies being named Wade! Deadpool is on general UK release now, for everyone else 12th of February.